Each month on our website we provide summaries of recent important decisions in our key practice areas of trusts, estates and the Court of Protection, in order to help practitioners keep up to date. 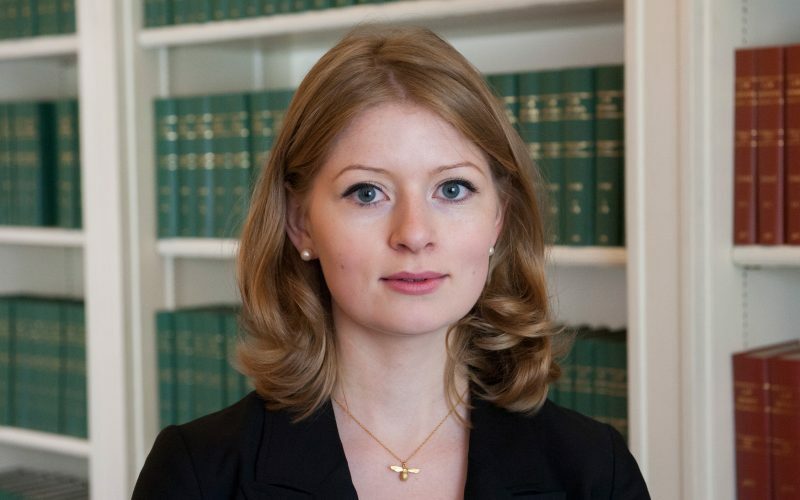 For February 2019, Rose Fetherstonhaugh has covered Re Ninian  EWHC 297 (Ch). This case concerned an application for relief against forfeiture under s.2 of the Forfeiture Act 1982 (“the Forfeiture Act”) on the basis that steps taken by the Claimant, Mrs Ninian, may have amounted to encouraging or assisting her husband, Mr Ninian, to commit suicide, a criminal offence under s.2 (1) of the Suicide Act 1961 (“the Suicide Act”). It contains useful guidance for any private client practitioner asked to advise in this scenario. Mr and Mrs Ninian had had a “long and loving marriage”. In 2013, Mr Ninian was diagnosed with Progressive Supra-nuclear Palsy, a degenerative and terminal disease. Mr Ninian first planned to go through with an intended accompanied suicide in about August 2016, and contacted Dignitas. Mrs Ninian did not find out about this for several months, at which she actively tried to dissuade him from going through with it . Mr Ninian then asked his wife to help him with some of the administration required, the details of which are summarised by Master Marsh at . Mrs Ninian persuaded her husband to make his doctors aware of his decision, hoping they would change his mind . Mr Ninian’s doctor recorded the conversation that took place: Mr Ninian said that he found life intolerable. Although Mr Ninian did not want her to do so, Mrs Ninian informed a close friend and her niece of Mr Ninian’s decision and there was contemporaneous email correspondence evidencing the fact that she had told him not to go through with it . On 2 August 2017, Mr Ninian was seen by a Consultant in Palliative Medicine and the Islington Community Team Leader for palliative care. The Consultant recorded various “matters of importance”, including advice that (i) it was illegal for anyone to support Mr Ninian in going to Dignitas and (ii) Mrs Ninian was very clear about not wanting her husband to go to Dignitas . Mrs Ninian subsequently instructed Bolt Burdon to advise her. They had previously been instructed to act for both of them, and had drafted Mr Ninian’s 2013 will. As Mr Ninian wished to record his reasons for deciding to end his life, Bolt Burdon “very properly”referred Mr Ninian to an independent firm of solicitors, Dixon Ward. A change to Mr Ninian’s will – designed to remove the risk of opposition to an application for relief from the forfeiture rule – “reflect[ed]Mr Ninian’s meticulous preparation of his affairs in the day before going to Zurich”. Mr Ninian was then assessed by a geriatric psychiatrist, who produced two reports dated 11 November 2017. These reports expressed the opinion that Mr Ninian (i) had testamentary capacity and (ii) had capacity to decide about significant treatment options such as attending Dignitas. It is unnecessary to say more than that no direct assistance in the consumption of the substances that killed Mr Ninian was provided by his wife. However, it is clear that Mr Ninian could not have travelled either to Switzerland or to the three appointments with Dignitas without the assistance she provided. Mrs Ninian was the sole beneficiary of Mr Ninian’s residuary estate under his will dated 9 November 2017. About two weeks after Mr Ninian’s death, Mrs Ninian instructed Kingsley Napley LLP to assist her in reporting the circumstances to the police. Mrs Ninian was subsequently interviewed under caution, and a report provided to the CPS to be considered in accordance with the DPP’s Policy Statement issued in February 2010. On 20 June 2018, Mrs Ninian was informed that although the evidential test had been passed, it was not considered that a prosecution would be in the public interest . Master Marsh began his judgment by setting out the applicable statutory provisions. In this Act, the “forfeiture rule” means the rule of public policy which in certain circumstances precludes a person who has unlawfully killed another from acquiring a benefit in consequence of the killing. References in this Act to a person who has unlawfully killed another include a reference to a person who has unlawfully aided, abetted, counselled or procured the death of that other and references in this Act to unlawful killing shall be interpreted accordingly. This had the “limited function”of providing a definition for the purposes of the Forfeiture Act: it did not purport to codify the rule. This was clear from the general words that are used . Where a court determines that the forfeiture rule has precluded a person (in this section referred to as “the offender”) who has unlawfully killed another from acquiring any interest in property mentioned in subsection (4) below, the court may make an order under this section modifying [or excluding] the effect of that rule. The court shall not make an order under this section modifying [or excluding] the effect of the forfeiture rule in any case unless it is satisfied that, having regard to the conduct of the offender and of the deceased and to such other circumstances as appear to the court to be material, the justice of the case requires the effect of the rule to be so modified [or excluded] in that case. Master Marsh observed that the exact scope of the forfeiture rule was uncertain in some respects. However, he considered that the forfeiture rule as it applies in this particular case was now settled following the decision of the Court of Appeal in Dunbar v Plant  Ch 412. This case involved a suicide pact: after two unsuccessful attempts, the fiancé succeeded in killing himself, but the defendant survived. The Court of Appeal agreed about the scope of the forfeiture rule and, relevantly, that it applied to cases involving aiding and abetting suicide contrary to section 2 (1) of the Suicide Act. When the[Suicide]Act is considered, however, it gives clear indication that the circumstances in which the offence is committed may be such that the public interest does not require the imposition of any penal sanction. This, in my judgment, is the logical conclusion to be drawn from the provision in section 2 (4) of the [Suicide]Act that “no proceedings shall be instituted under this section except by or with the consent of the Director of Public Prosecutions”. Where the public interest requires no penal sanction, it seems to me that strong grounds are likely to exist for reliving the person who has committed the offence from all effect of the forfeiture rule. This and the other passages cited by Master Marsh were considered and approved in Dalton v Latham  EWHC 796 (Ch). On the balance of probability (i.e. the civil standard of proof) has there been an unlawful killing such that the forfeiture rule applies? Master Marsh noted that s.2 (1) of the Forfeiture Act required this first stage as a pre-requisite to relief. Should the court exercise its power under s.2 (1) of the Forfeiture Act, having regard to the factors set out at s.2 (2) of the Forfeiture Act? Prior to engaging with the two-stage approach, Master Marsh briefly and usefully recalled that the effect of forfeiture on jointly owned property was to sever the joint tenancy in equity: see the judgment of Vinelott J in Re K Deceased  Ch 85 at 100 F-G and that of Mummery LJ in Dunbar [38-39]. Subsequently, Master Marsh observed that as with relief against forfeiture in the context of leases, the effect of the grant of relief related back to the date of Mr Ninian’s death. As such, the severance of the jointly owned property was treated as not having taken place and the joint property would as a result pass to Mrs Ninian by survivorship . However, and although the editors of Blackstone’s Criminal Practiceat B1.147 and vol. 12 (1) of Halsbury’s Statutes(2017 Reissue) at 406 had expressed the view that the changes made to s.2 were not designed to make any particular changes, Master Marsh considered it necessary to consider the replacement offence “in light of the substantial redrafting”. The judge noted carefully that there were two elements of the offence: first, the carrying out of an act that was capable of encouraging or assisting the suicide (which was objective). Secondly, that the act was intended to encourage or assist (which was subjective). The act need only be capable of encouraging or assisting: it need not actually encourage or assist it . Master Marsh found that Mrs Ninian’s acts – when looked at objectively – were “plainly capable of assisting his suicide”. This satisfied the first limb. Secondly, it was “equally plain that although she did not wish him to commit suicide, she intended to assist him in that enterprise”. On the balance of probabilities, the forfeiture rule was engaged. Master Marsh began by observing that the court’s discretion under s.2 of the Forfeiture Act appeared to be “limited”. The court had to be satisfied that the test imposed was satisfied, having regard to the conduct of the “offender” and such other circumstances as appeared to be material . Master Marsh did not want to put a “constraint upon the circumstances that the court may regard as being material”. Although Mummery LJ had dissented in Dunbar, his observations about the scope of the discretion were of assistance: the court was entitled to take into account a whole range of circumstances, including the intentions of the deceased, the offender’s financial position, and the moral claims and wishes of those who would be entitled to take the property if the forfeiture rule were applied . It was also helpful to have regard to paragraphs 43 and 45 of the DPP’s Policy Statement in circumstances where a decision had been made that a prosecution was not in the public interest, although there were differences between the exercise of discretion under the Forfeiture Act and the decision not to prosecute . After a detailed assessment of all the relevant factors (including the decision of the CPS not to prosecute, which was a “powerful factor in favour of the grant of relief”, Master Marsh concluded that the circumstances of the case provided a compelling case for the court to exercise its power to grant full relief, such that Mr Ninian’s share of jointly owned property and Mrs Ninian’s interest as the residuary beneficiary of Mr Ninian’s estate, that would otherwise be forfeit, would pass to Mrs Ninian . 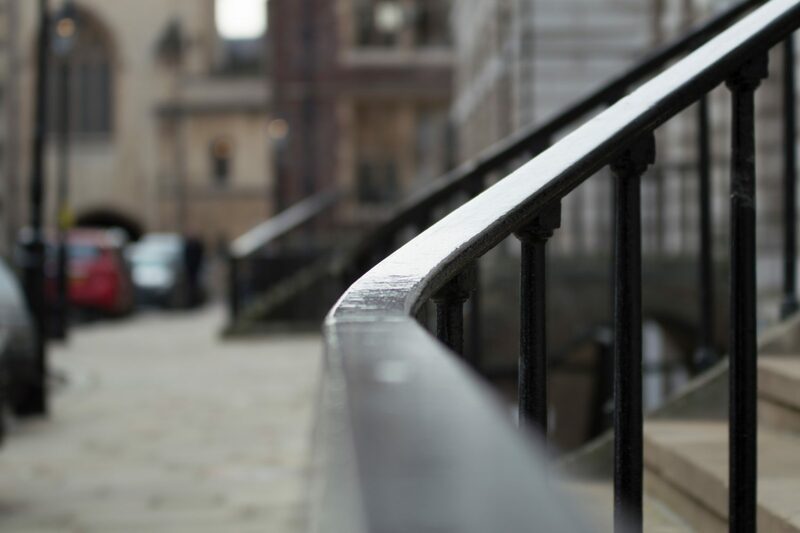 The scenario explored in this case raises a number of sensitive and difficult issues for private client practitioners, who may not have found themselves in this position before. Any practitioner faced with a situation like this one would therefore be well advised to adhere to the guidance given by Master Marsh in this case at  to . In particular, Master Marsh emphasised the importance of the meticulous preparation that had preceded Mr Ninian’s death. In assessing whether relief should be granted, he said that the court had been “greatly assisted in this case by the quality of the evidence with which it has been provided and by having a statement from Mr Ninian that was the product of independent legal advice” . The court had also been provided with substantial contemporaneous evidence including two reports by a geriatric psychiatrist, letters from doctors and emails from Mrs Ninian. Although the decision not to prosecute was an important factor, it was “but one factor”and it was necessary for the court to be informed of the full background . Finally, it is worth noting that this was an uncontested application. The preparation set out above will be even more important in circumstances where those who would be entitled to take the property if the forfeiture rule were applied object to relief being granted.